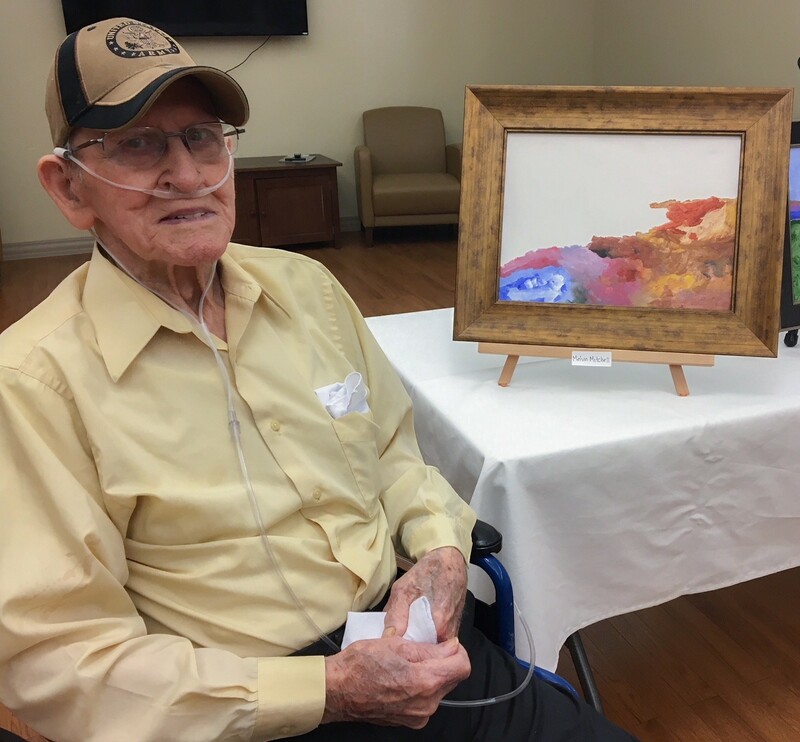 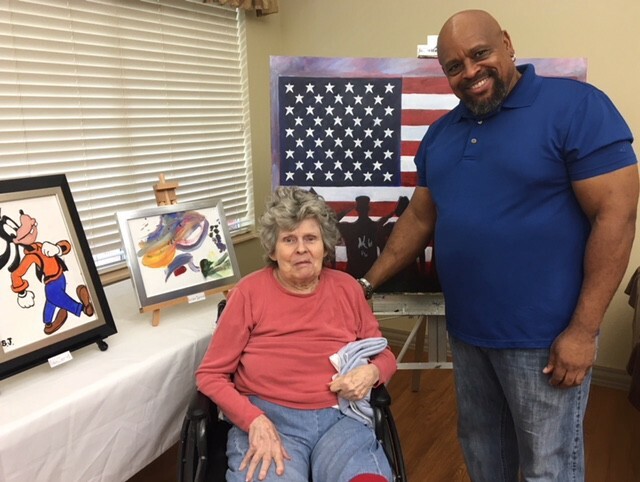 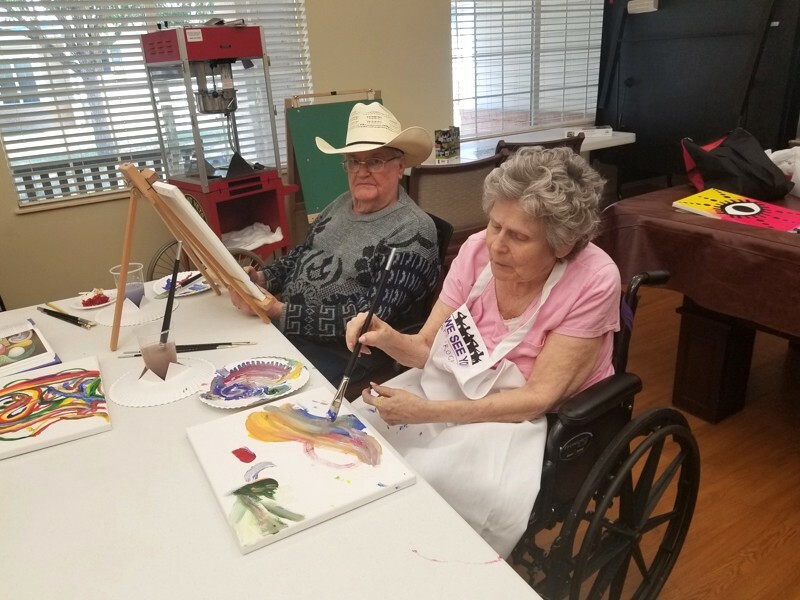 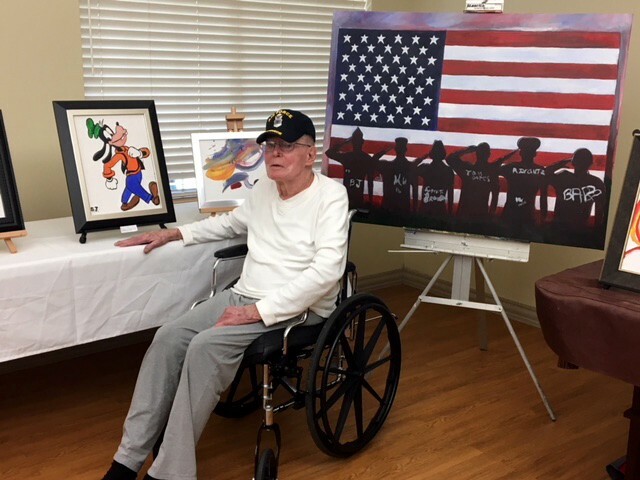 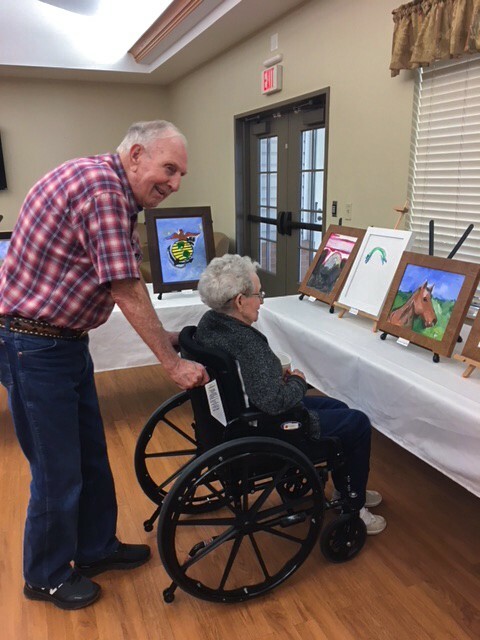 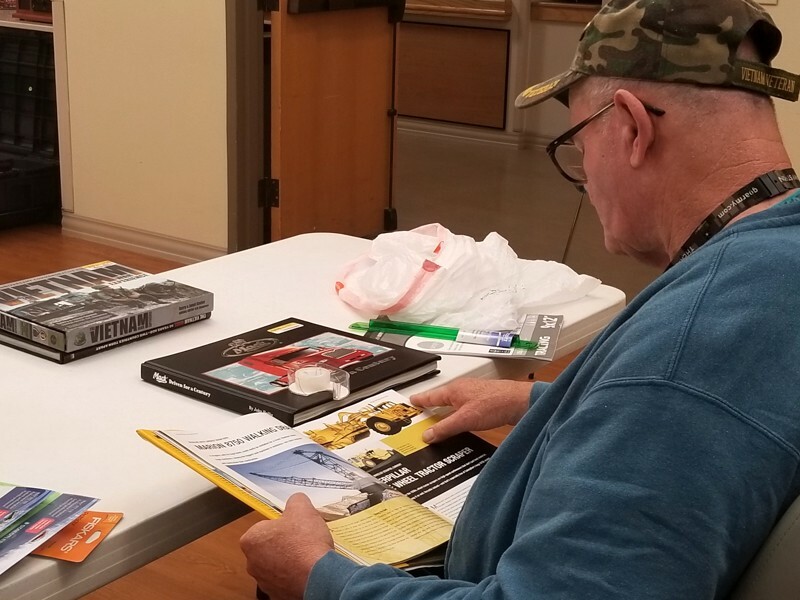 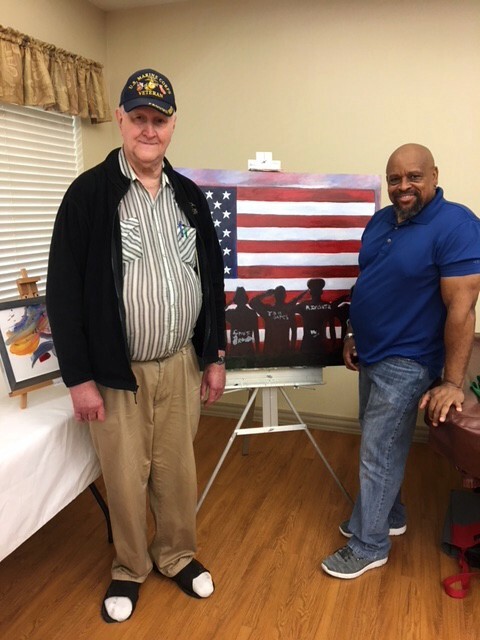 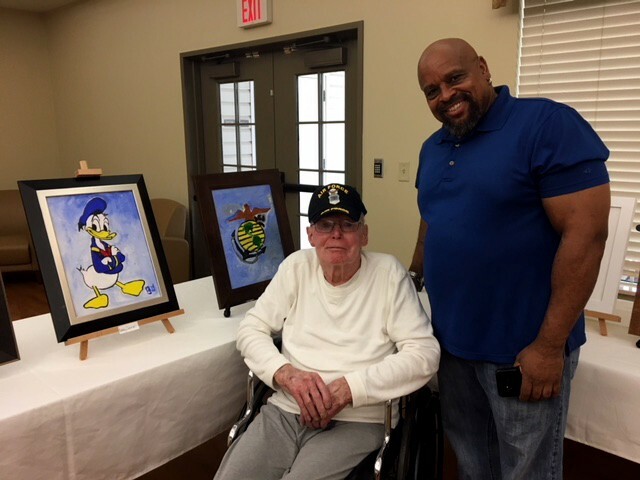 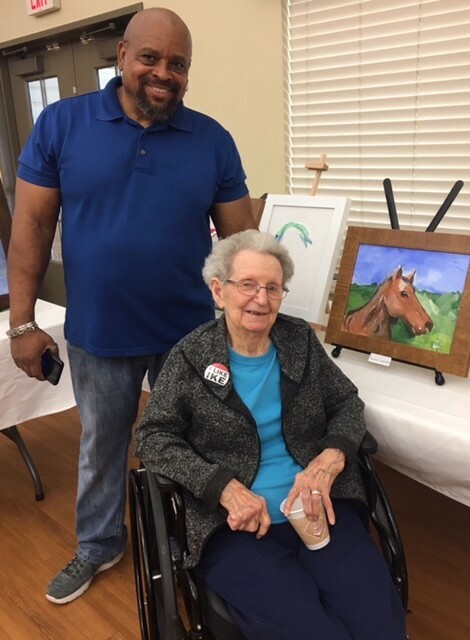 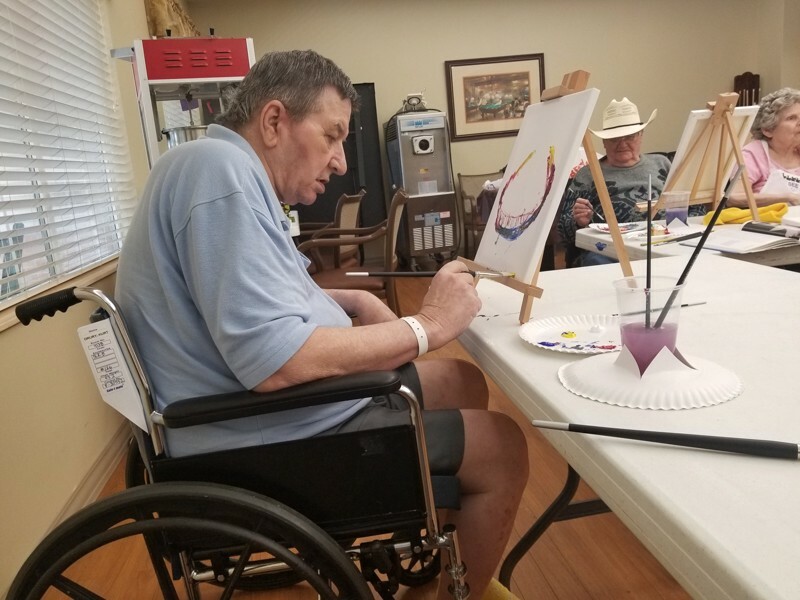 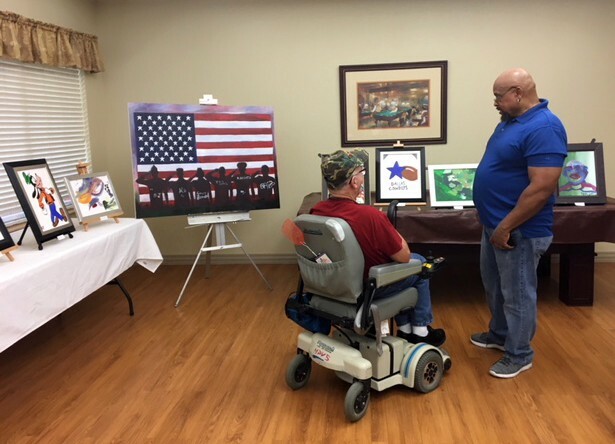 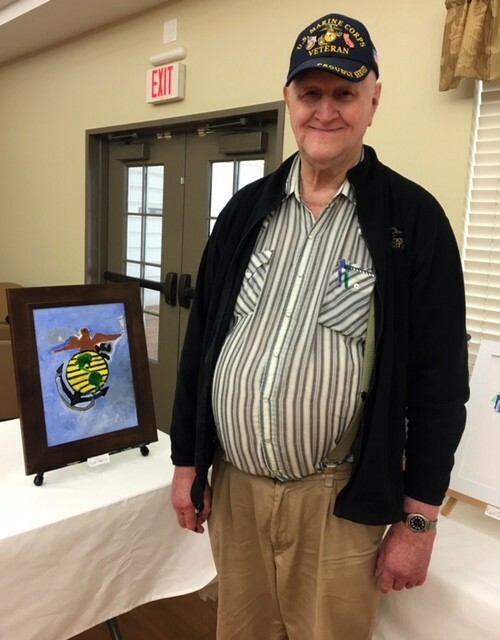 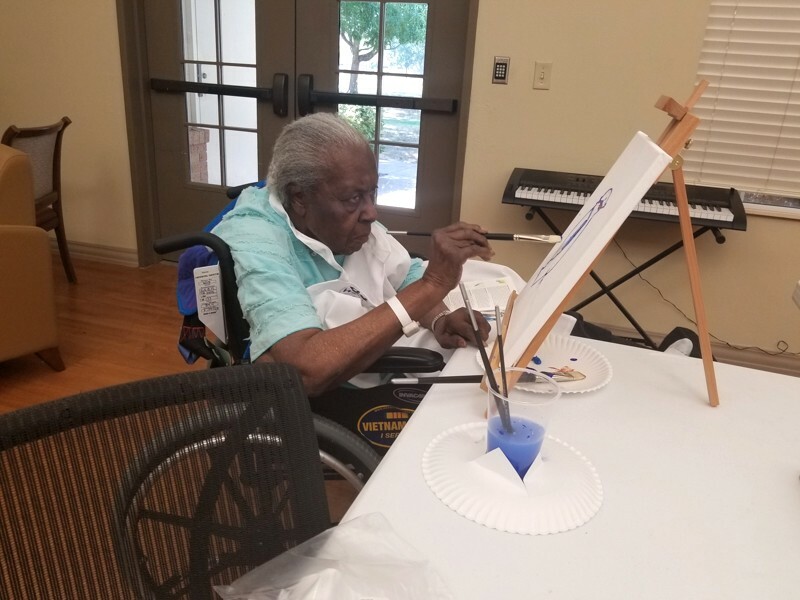 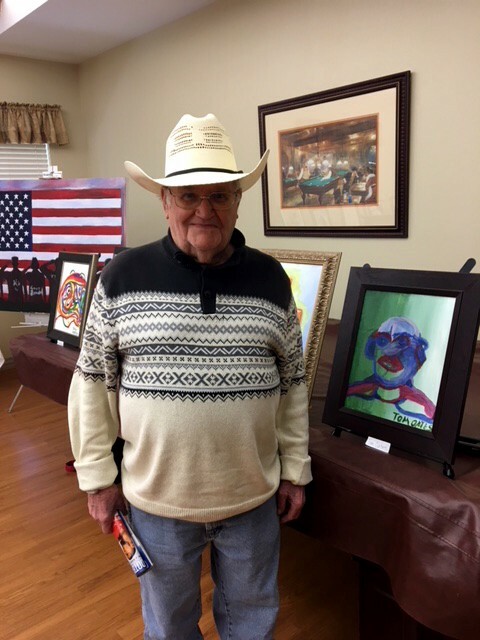 The residents of the Clyde W. Cosper Texas State Veterans Home hosted an exhibit of Veterans artwork on Saturday, August 25th from 11:00 a.m. — 2:00 p.m. 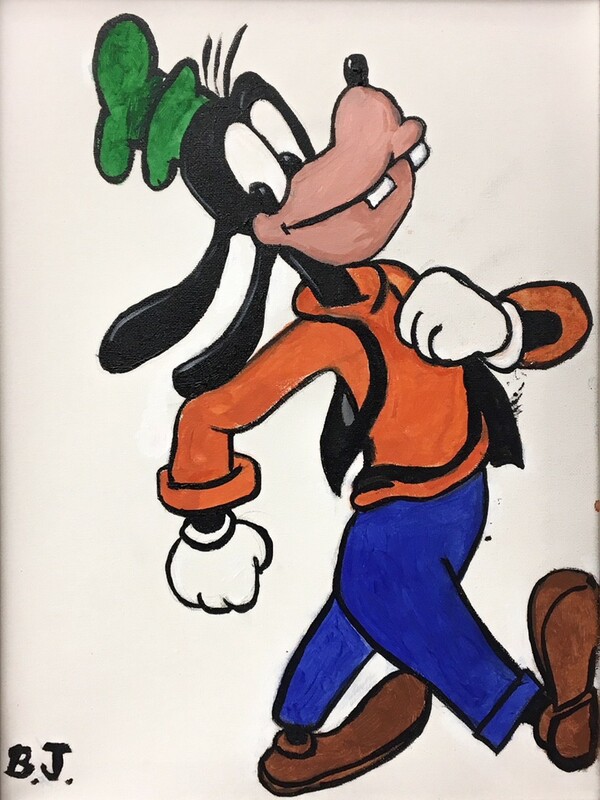 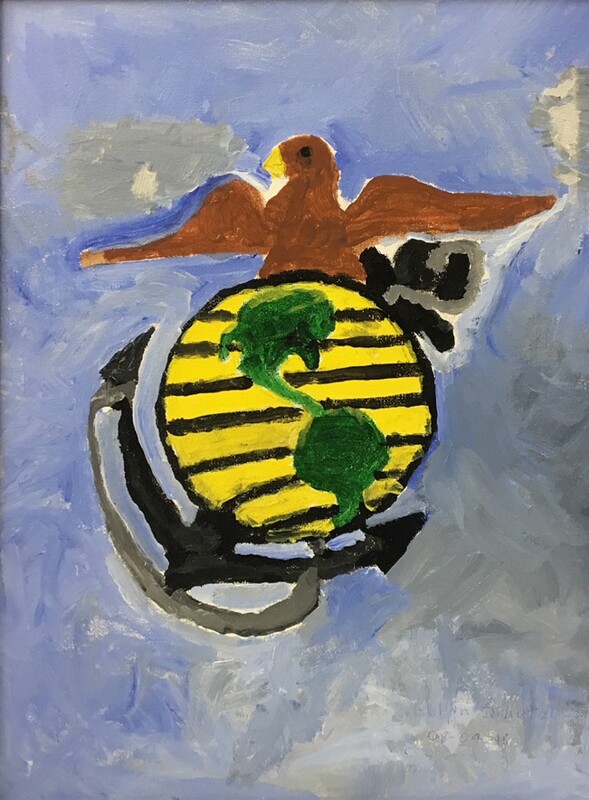 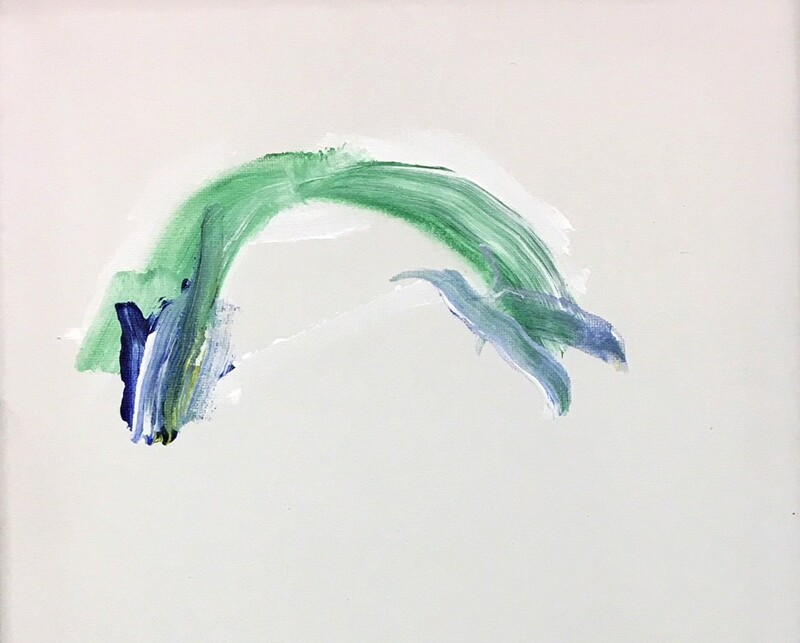 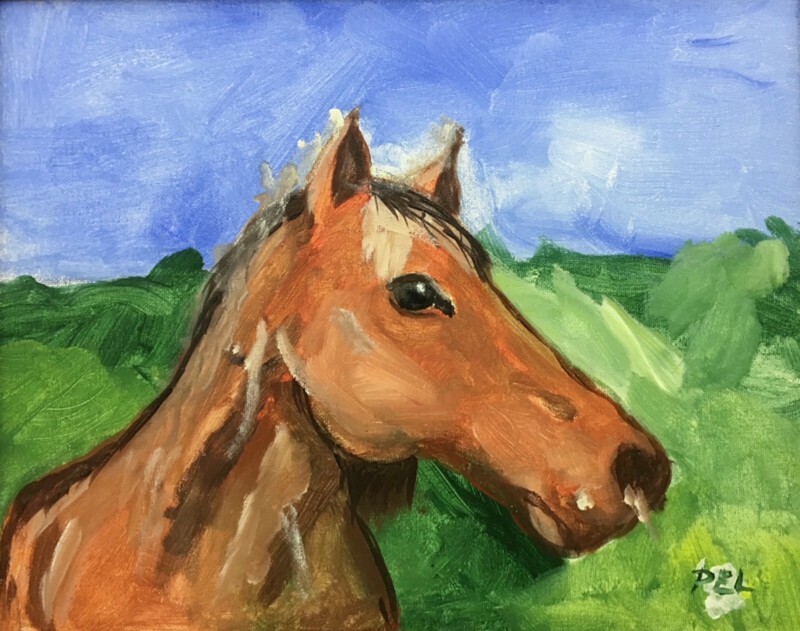 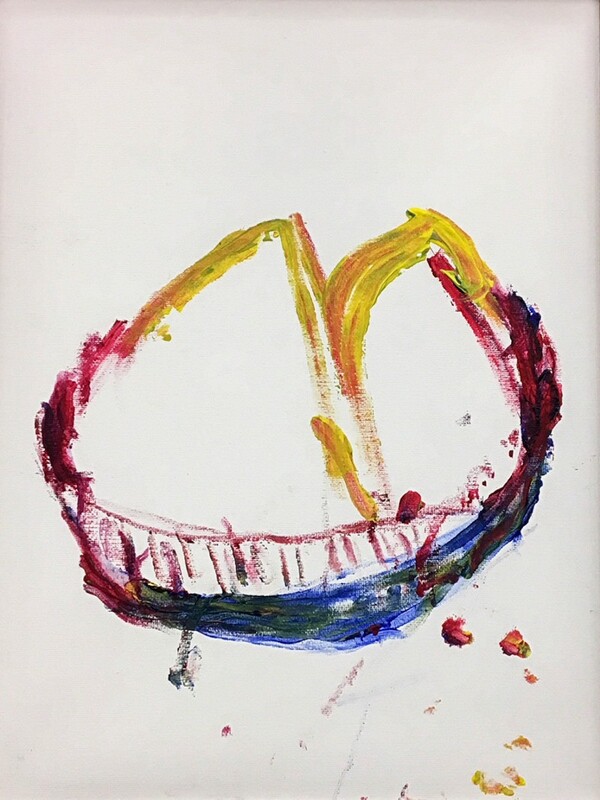 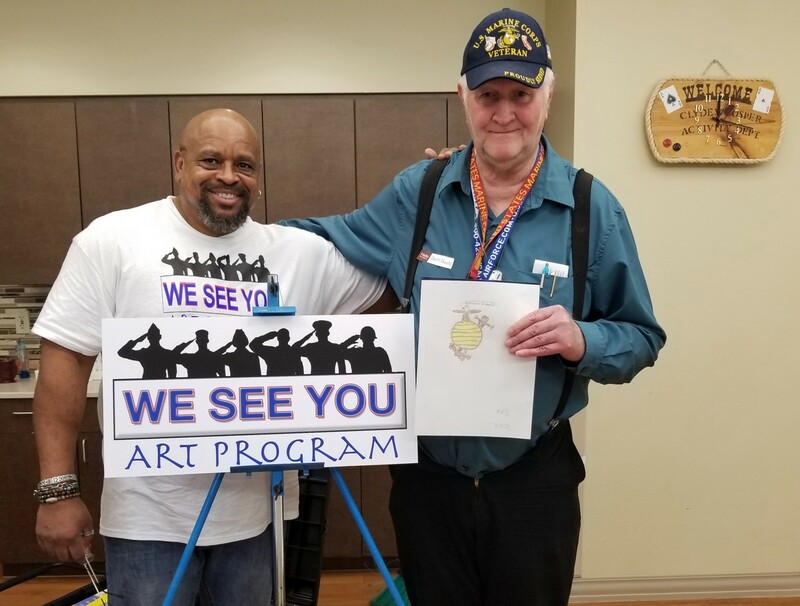 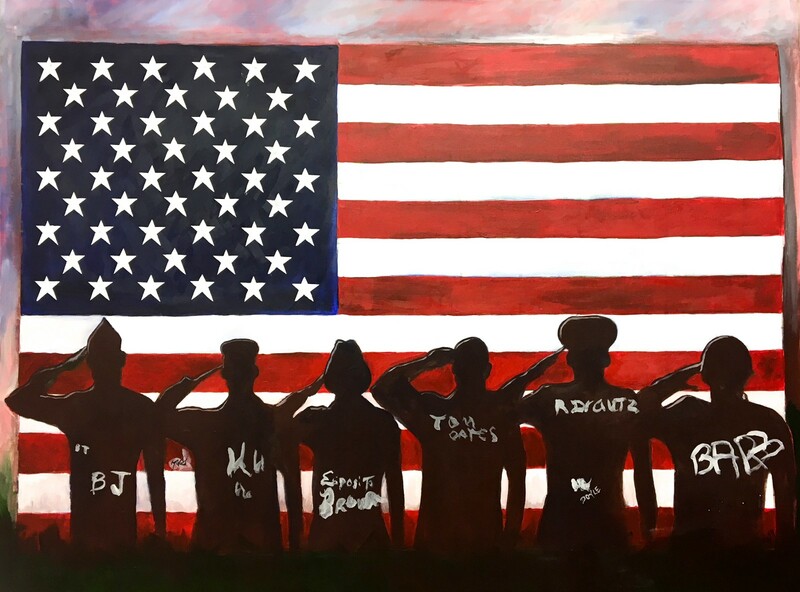 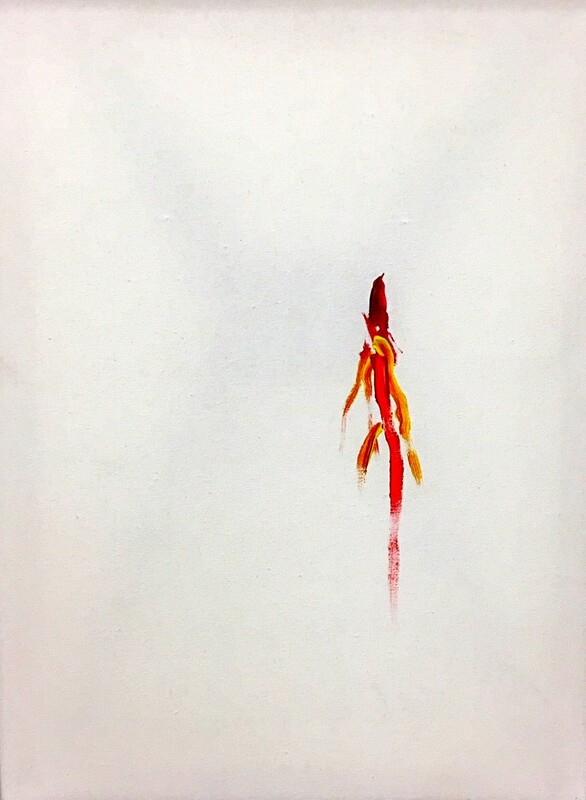 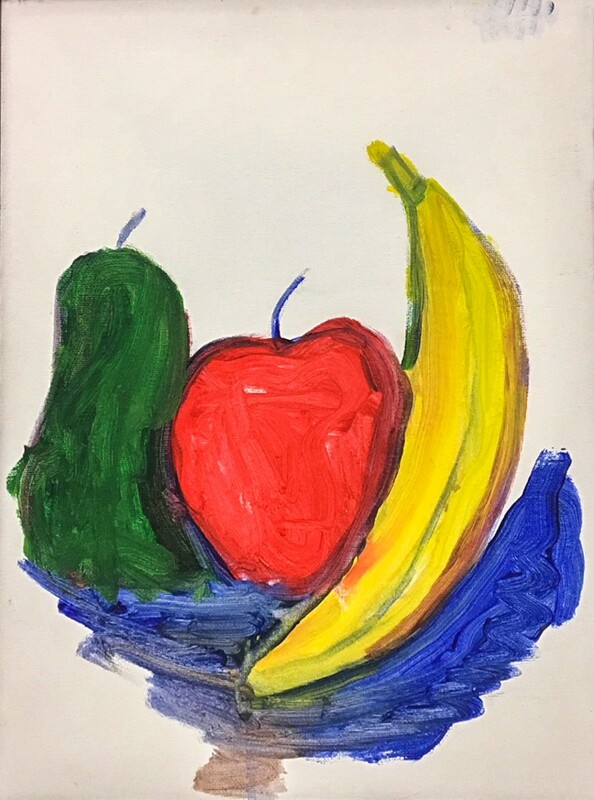 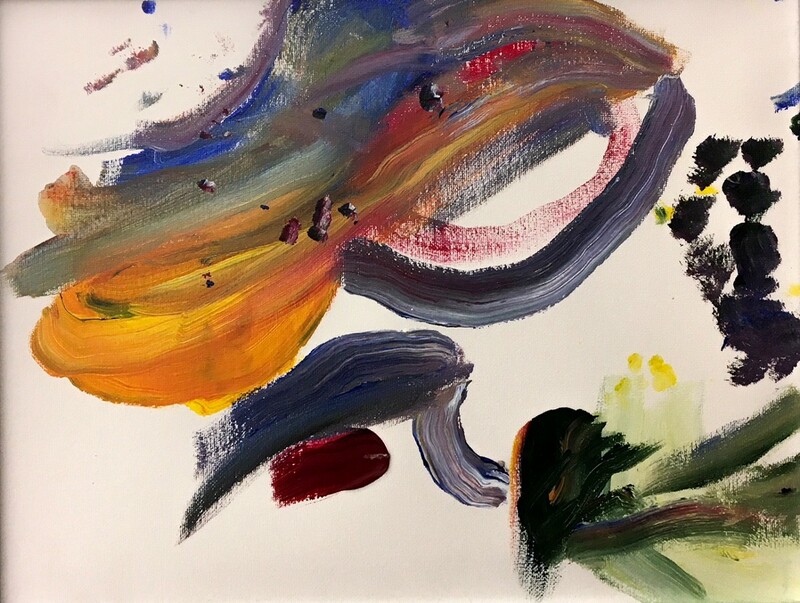 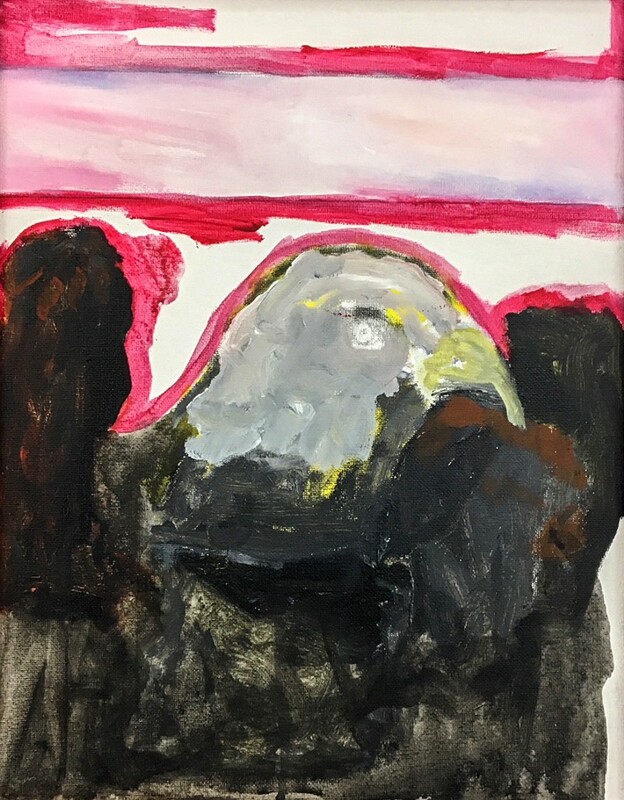 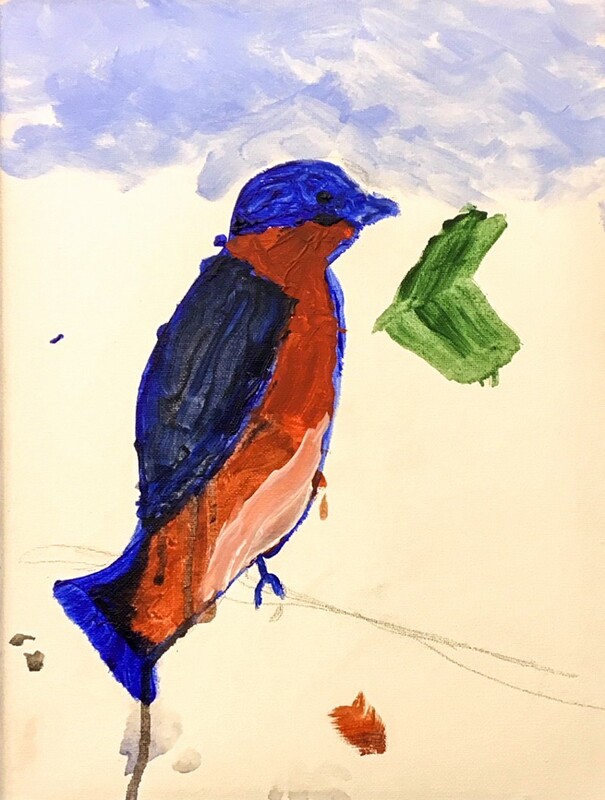 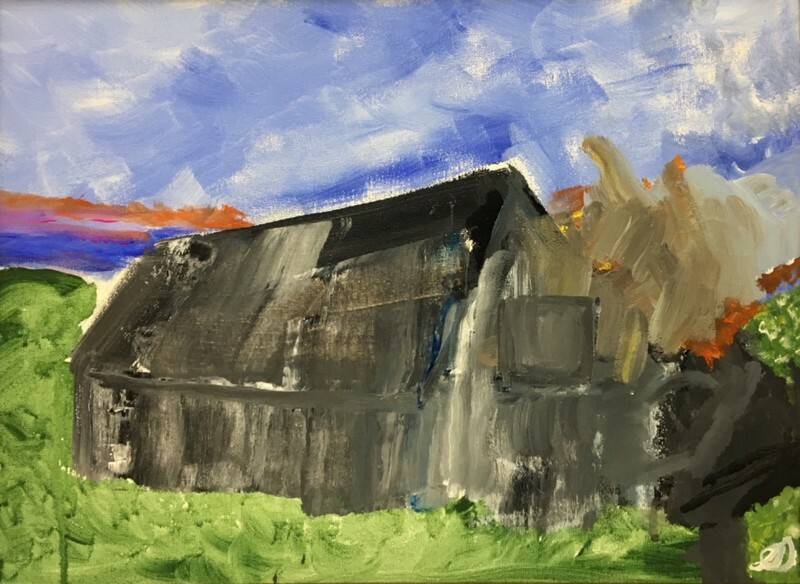 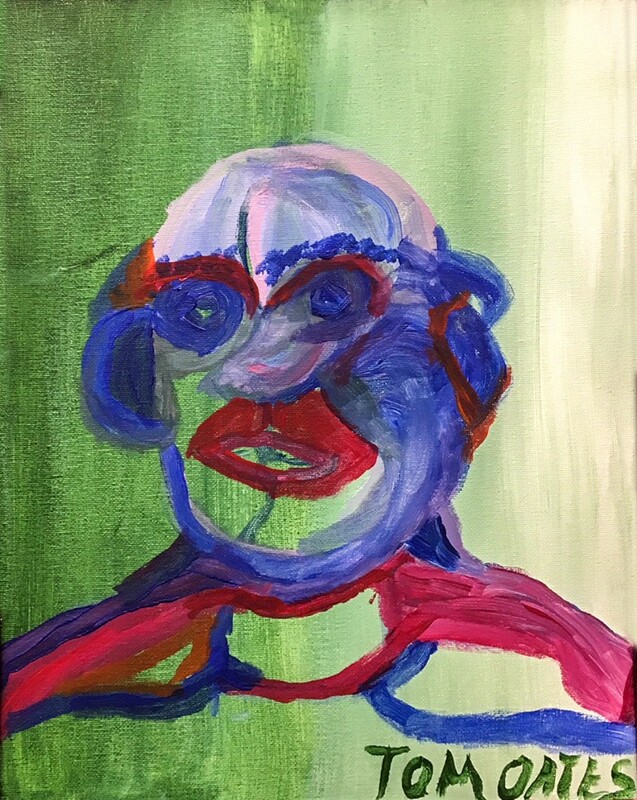 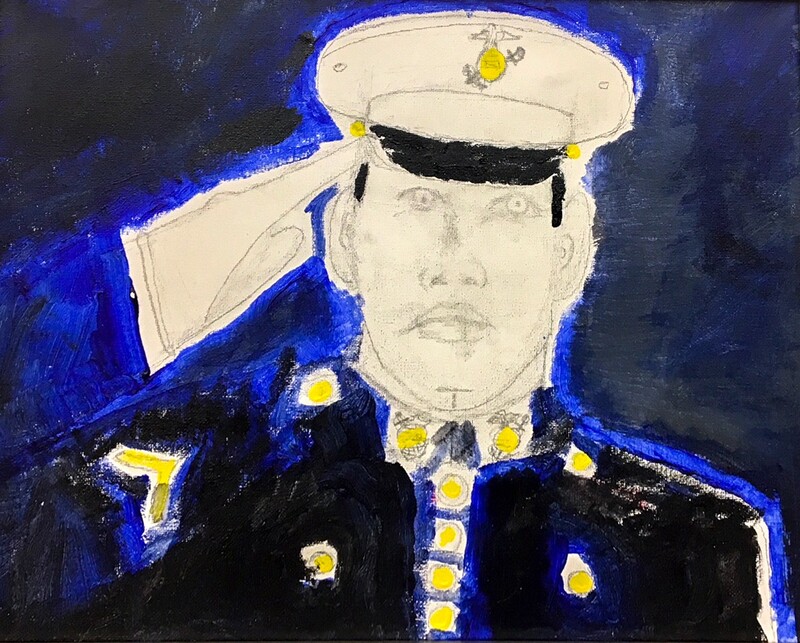 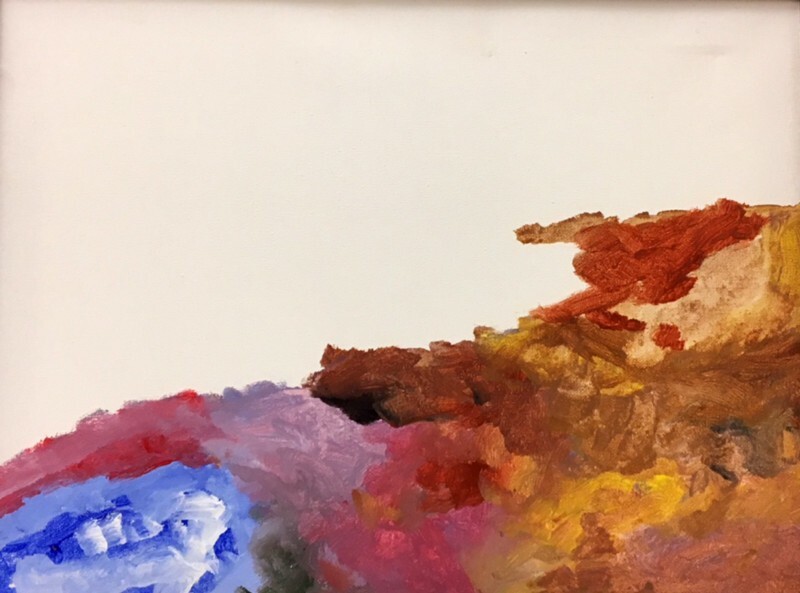 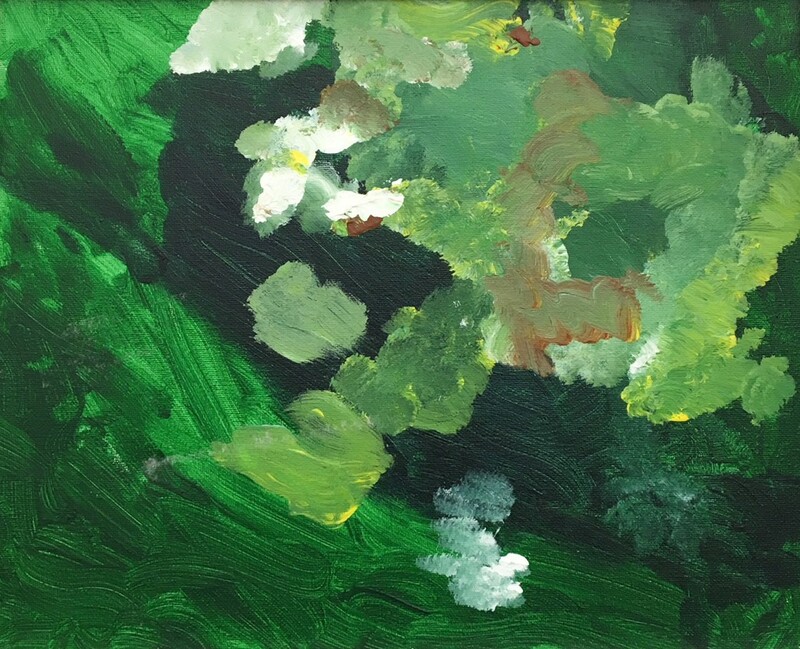 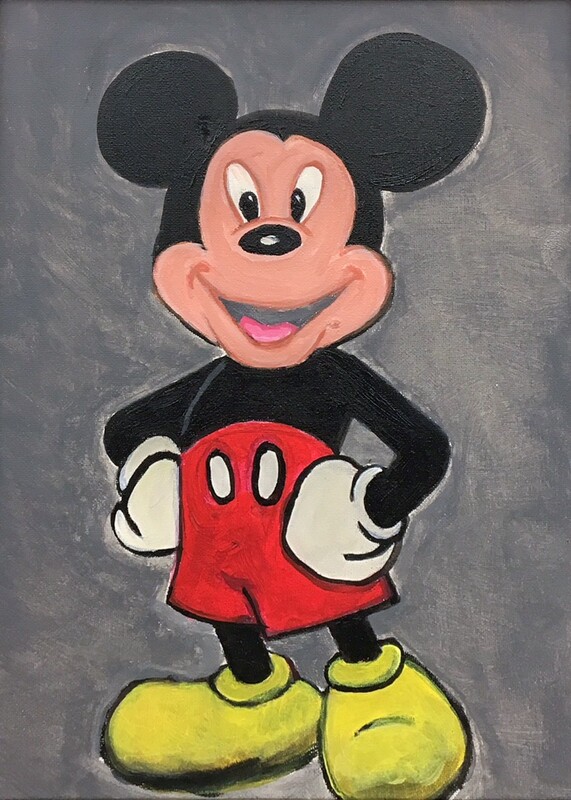 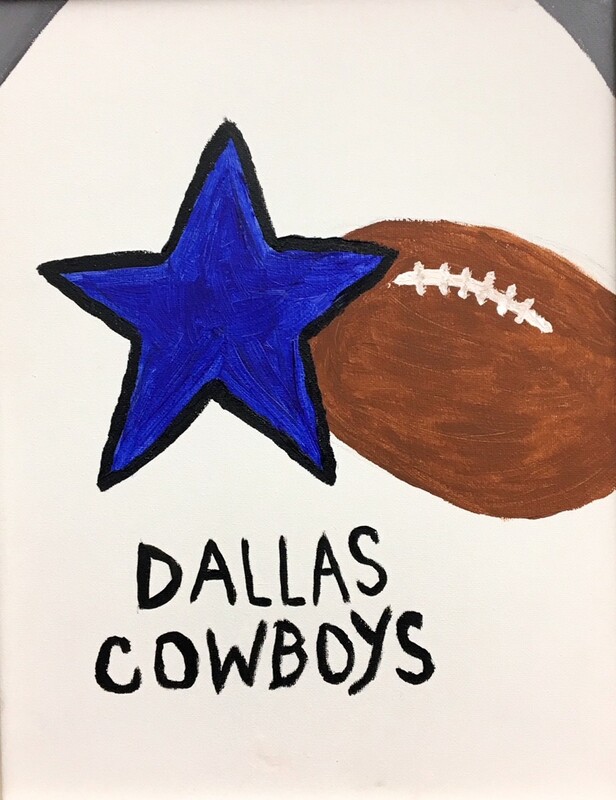 The residents produced this work during a five-week art therapy program called “We See You.” This program was created by David Goff, an artist and photographer, and is tailored for Veterans of all ages, backgrounds and experiences. 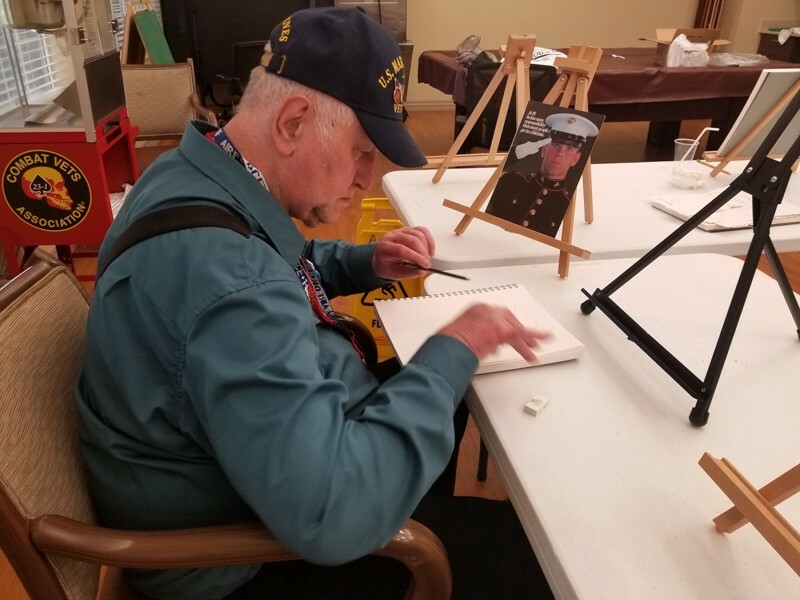 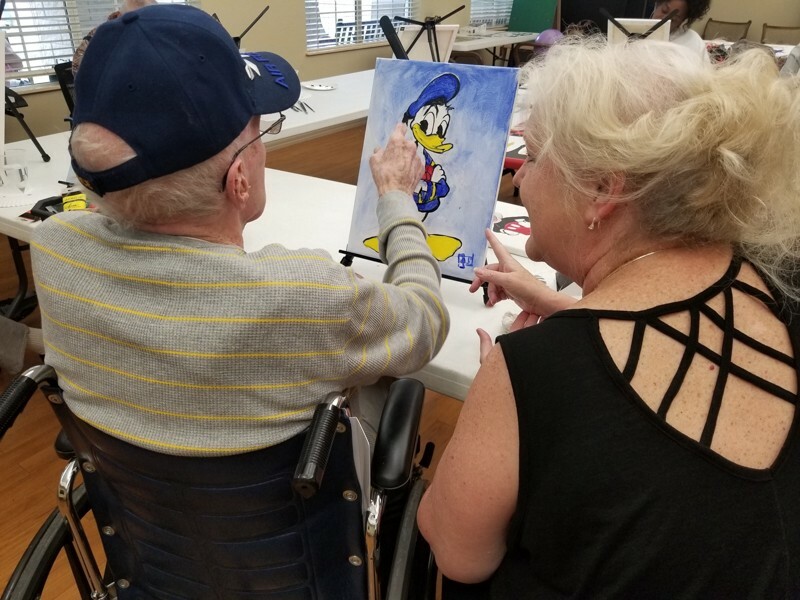 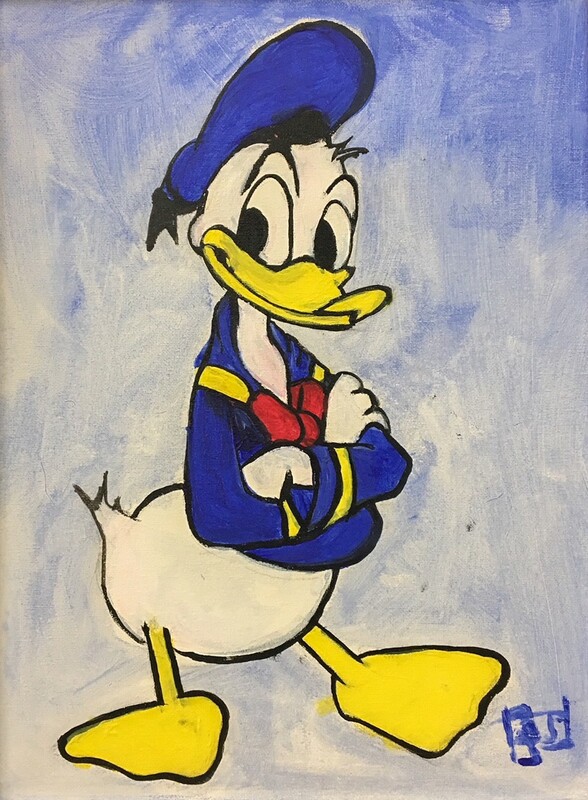 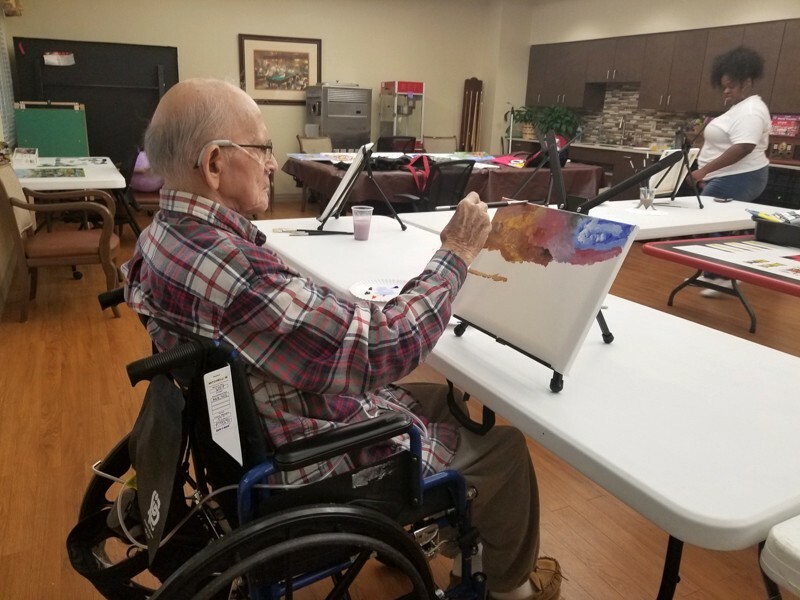 Making art allows our Veterans the opportunity to use their imagination and express themselves in their own unique way. 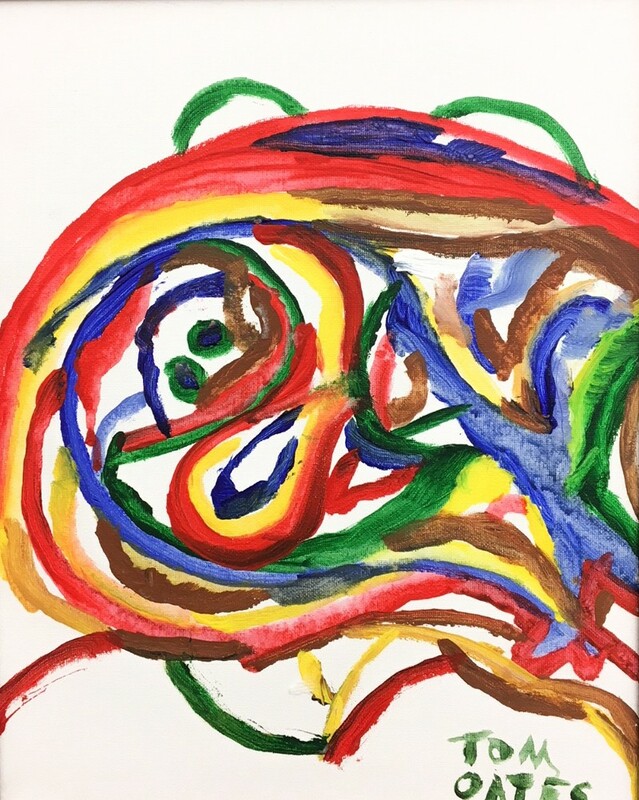 Art therapy is a wonderful way to stimulate the mind both cognitively and psychologically. 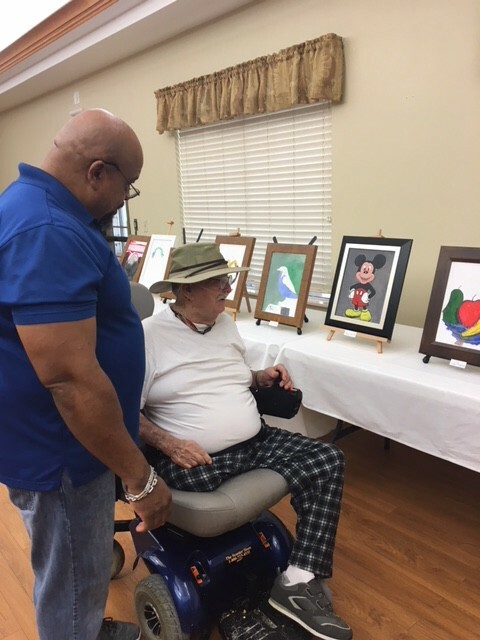 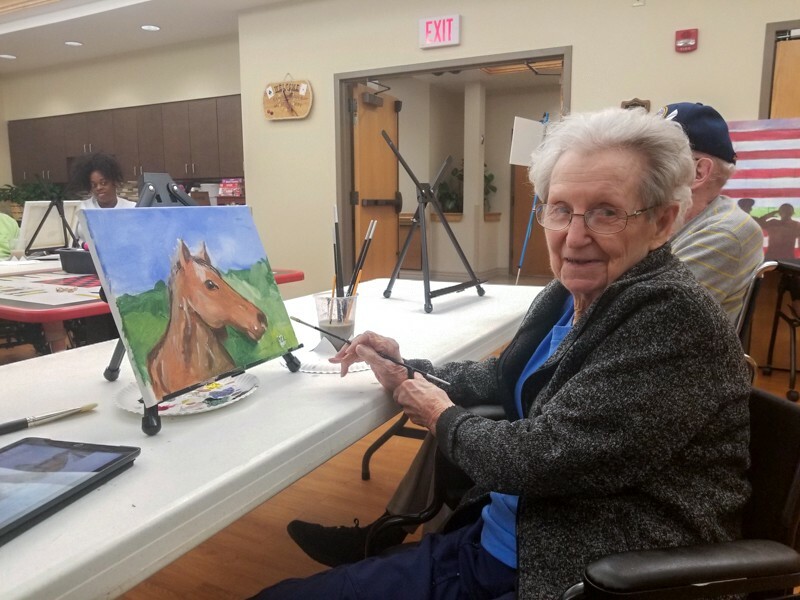 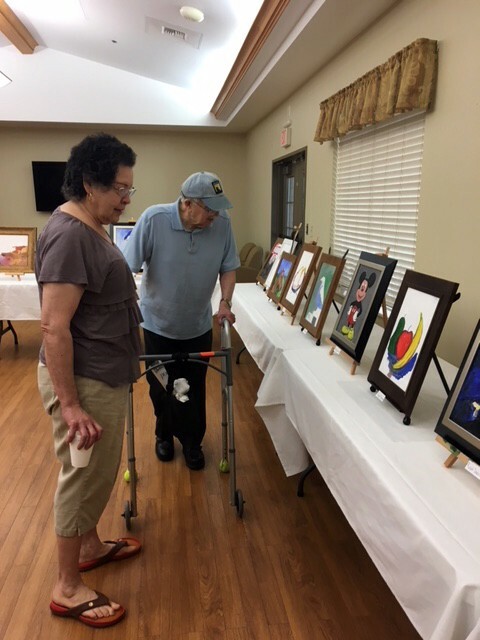 We are so proud of the residents who participated in this wonderful program and we’re delighted to share these special artworks with everyone!